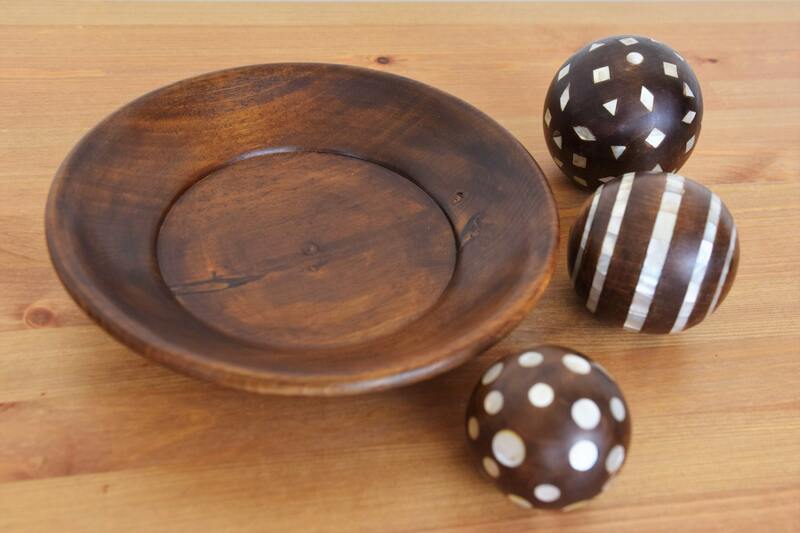 The Wooden Plate is completely handmade and made of walnut wood and inlaid with genuine mother of pearl. The plate has a unique style and is eco-friendly. 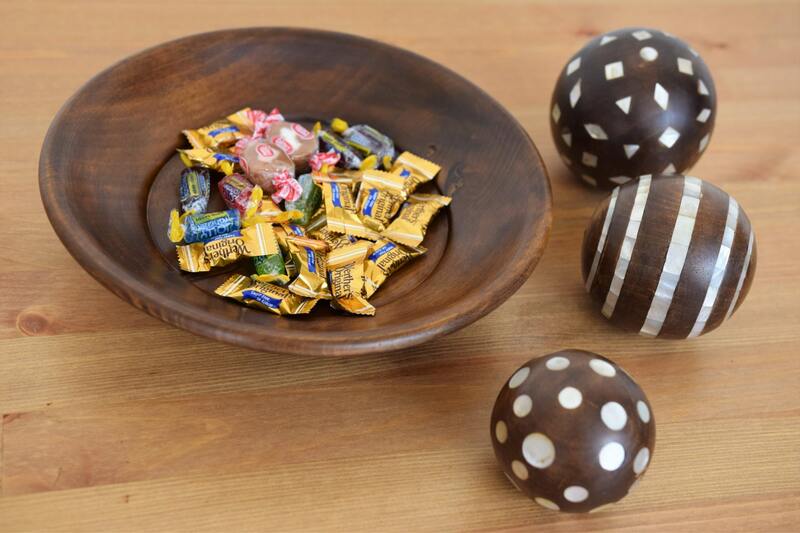 The combination of natural shape and the artisan’s touch make the plate and each ball different. 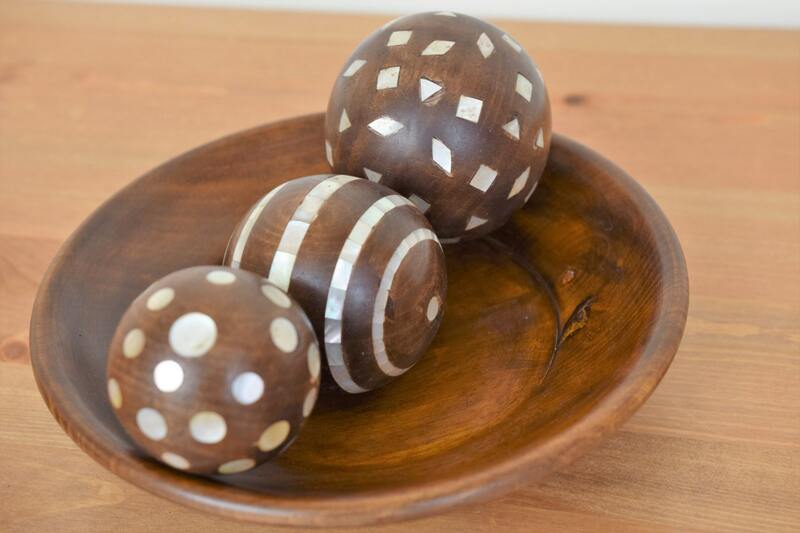 Made from solid wood and inlaid with mother of pearl makes the plate and balls more stylish and attractive. This place is suitable for home decoration, and it is a great gift for different occasions. 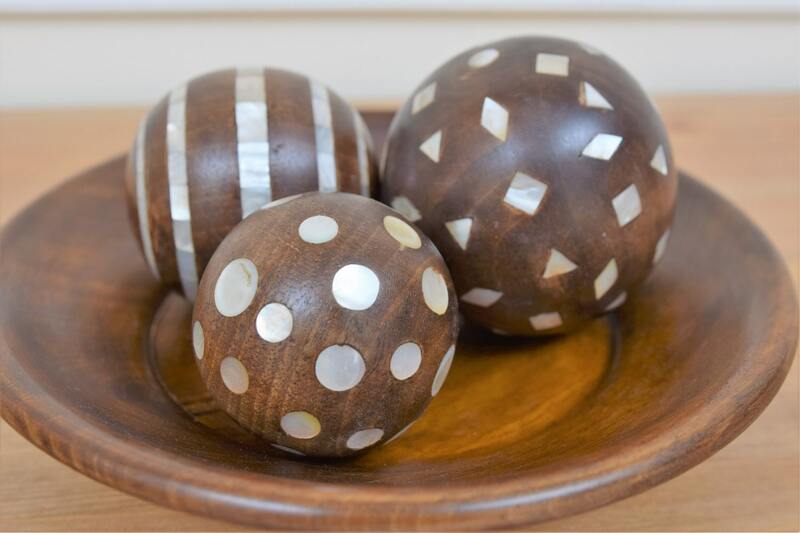 Because of the versatile style, this plate and balls can be used for home decor. 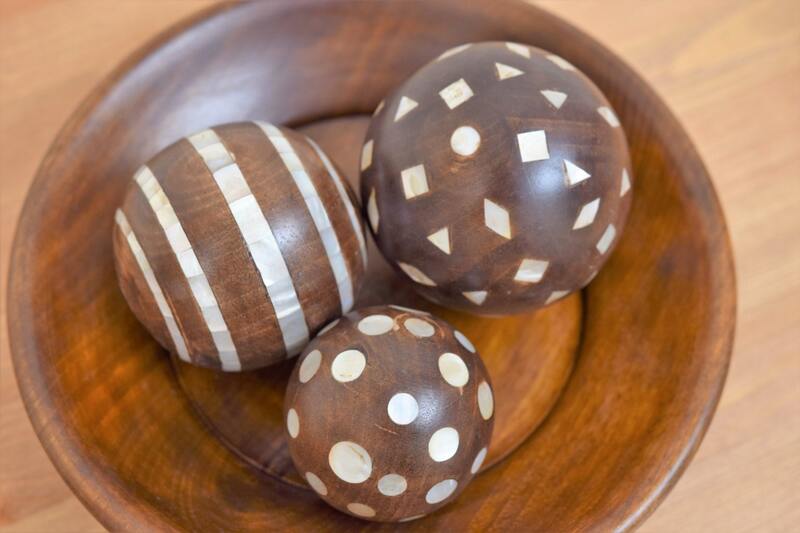 Along plate, each ball is also unique as they are each carved by experienced artisans balancing the natural grain patterns and natural shapes of the root or stump with the demands of the modern attentive gourmet. Our simple line of products and different styles are made, from reclaimed or anxious new wood. All our items are hand made, and the deviation on the materials add the uniqueness of the items and consider more attractive. They are beautiful and interesting items that bring their exclusive organic beauty in the home.